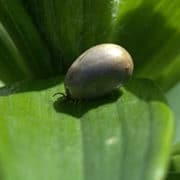 MANASSAS, Va. —August 15th, 2017 — Ceres Nanosciences, Inc. (Ceres) and Innatoss Laboratories (Innatoss) announced today a partnership that will deliver the Nanotrap® Lyme Antigen Test out of Innatoss’ clinical testing laboratories in the Netherlands for patient benefit throughout the European Union. The Nanotrap® Lyme Antigen Test is the first highly-sensitive, urine-based test capable of directly detecting a Lyme protein antigen in a patient at any stage of infection. In 2015, Ceres launched the Nanotrap® Lyme Antigen Test for patients across the United States, after publishing the results of a 268-patient clinical study led by George Mason University in collaboration with leaders from the infectious disease community. To learn more about the Nanotrap® Lyme Antigen Test in the United States, visit https://www.lymedx.com/.